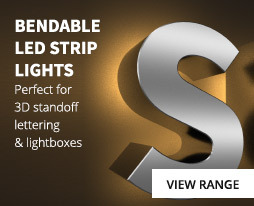 StudioFlex Warm White Flexible lighting is a very bright, quality product featuring 204 x LED's / m.
The effect produced is of an almost unbroken line of light with minimum pixilation. Our StudioFlex range of products are manufactured from premium grade components and we confidently offer a full five year warranty on our whole StudioFlex range. For projects that require an exceptionally bright, almost continuous band of cool white light, our StudioFlex Warm White LED product is a perfect solution. With an LED placed every 4.9mm, the light output is very consistent over the whole 5m length of Flex. StudioFlex is manufactured using high grade 2oz circuit board material, which ensures a high power factor and added strength. The Flex has cutting points conveniently situated every 30mm. This is a professional grade LED flex, used widely in TV Studios and for other applications where a high quality product is required. StudioFlex is IP20 rated (uncoated) and is ideal for mounting into our aluminium extrusions which are available in a number of different profiles. Due to the number of LED's /m, when used in conjunction with an extrusion fitted with a diffuser the LED pixels are further reduced minimizing spotting. 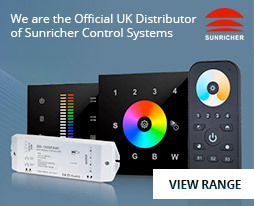 Our StudioFlex is dimmable and we stock a number of control systems, including remote control and DMX512 decoders.